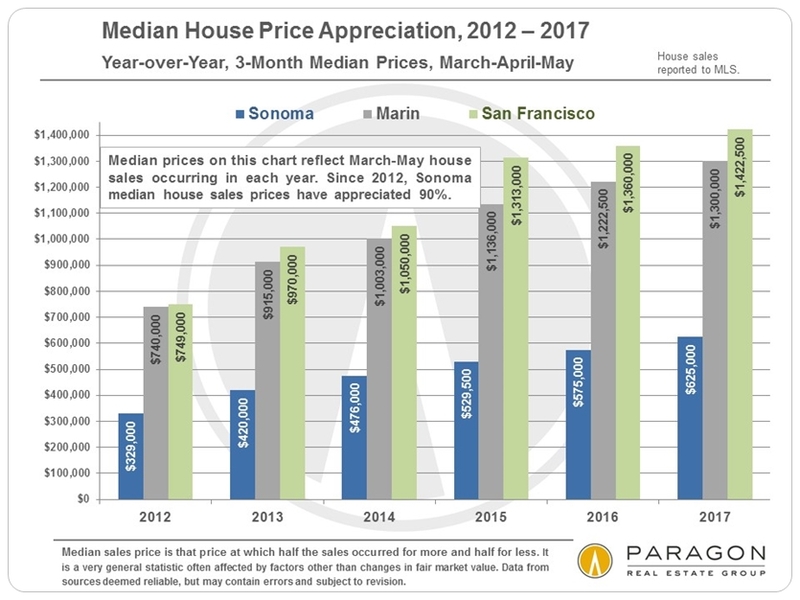 The chart below compares median house sales prices since 2012 for March through May sales, year-over-year, for Sonoma, Marin and San Francisco Counties: Sonoma prices are illustrated by the blue columns. 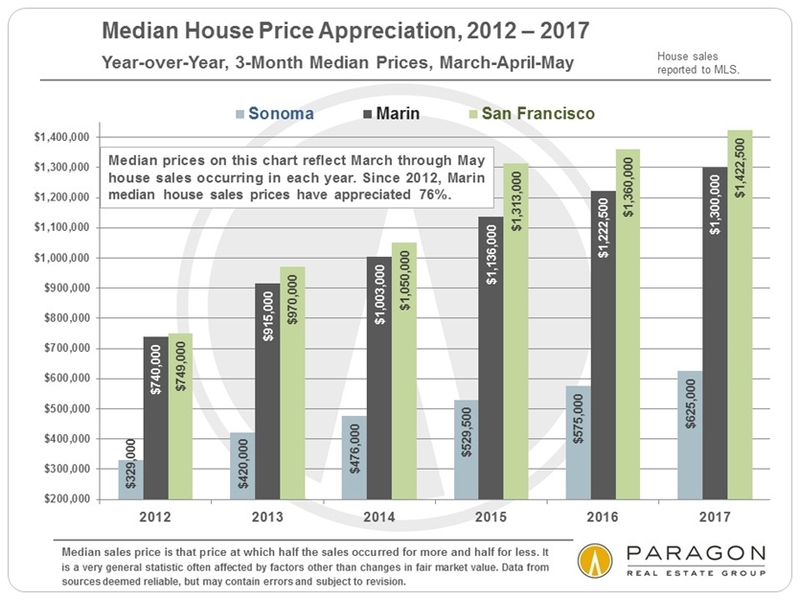 Many Bay Area Counties hit new peaks in median sales prices this spring, while Sonoma, which started its recovery a bit later than counties closer to the high-tech boom, is just a tad below its previous peak in 2006. 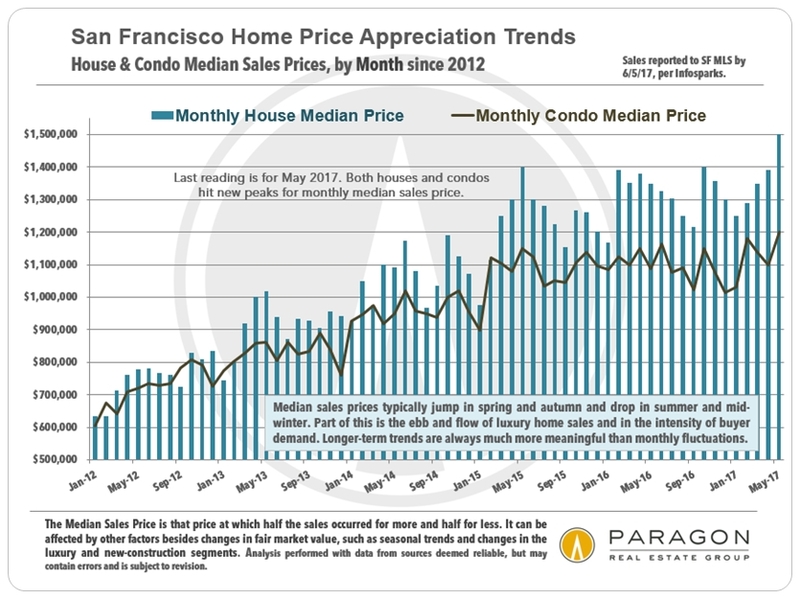 This is illustrated in the longer-term annual chart below.